Our version of "Gigi Speer" '18, will host Hop Chopped in Heath. Four chefs, three courses, and only one chance to win. Four chefs, three courses, and only one chance to win. 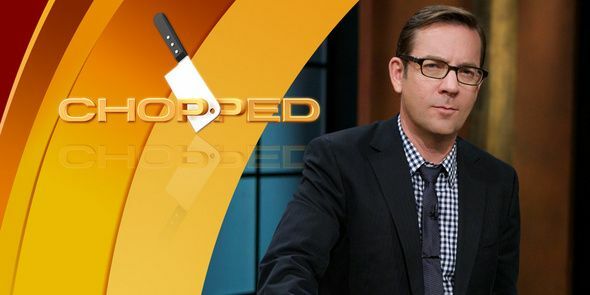 Food Network’s hit cooking game show Chopped is coming to Hopkins on May 12. Spearheaded by Gigi Speer ’18 and a team of over thirty dedicated Hopkins students, this school wide event aims to raise money for the Connecticut Food Bank. HopChopped, as it’s referred to by its organizers, will take place in Heath Commons. While audience members watch a video livestream in Upper Heath, four Hopkins chefs will take their places in the kitchen below for the competition. There will be three contestants, one each from the Junior, Middle, and Senior schools, plus an additional student or faculty member. Going head-to-head for three elimination rounds, players will attempt to incorporate an unusual combination of mystery ingredients into dishes to be evaluated by a panel of three judges. Speer added that Tilapia “may or may not be” another ingredient, a call back to a dish that frequents the Hopkins dining hall. still thinking about that through the entire year, not just at holiday time.” Speer and Mindell added to that sentiment, saying they hope that by facilitating more fundraising events outside of the traditional Hopkins CFD season, it will help students continue to be proactive in fnding ways to commit to community service.